Since July, the Royal Concert Hall’s main box office and entrance foyer has been shrouded behind builder’s hoardings as Phase 1 of the venue’s ambitious £3.3m Royal Transformation Project has been undertaken. The Royal Transformation Project, jointly funded by Arts Council England and Nottingham City Council, is an ambitious programme of building and development works designed to ensure the sustainable future of the two largest arts and entertainment venues in the East Midlands. The project aims to increase daytime use of the venues by improving facilities and underused spaces such as meeting rooms, foyer spaces, the café bar and roof terraces. The project will also see accessibility improvements to ensure that the new facilities can be used by everyone. Work on Phase 1 has now reached completion, and the Royal Concert Hall’s re-modelled box office and entrance foyer re-opens to the public today. 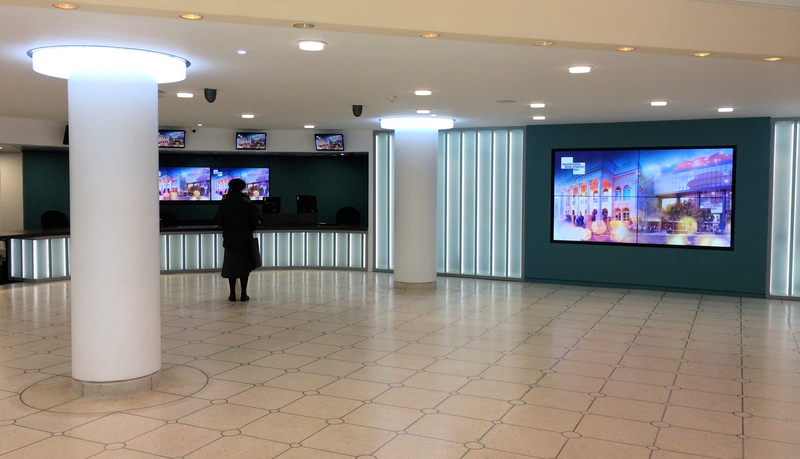 The Royal Concert Hall’s main box office and entrance foyer has undergone a complete overhaul, with a brand new box office counter, cloakroom counter and call centre being installed. The entrance foyer has been thoroughly modernised and redecorated, with planters and leaflet racks removed from around the featured pillars to make it a friendlier, more efficient and open space. 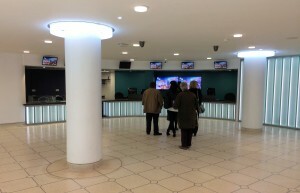 The venue’s daytime box office counter service will now return to the Royal Concert Hall’s main entrance foyer (opening times Monday to Saturday 9am – 8.30pm), as will the new cloakroom counter service. 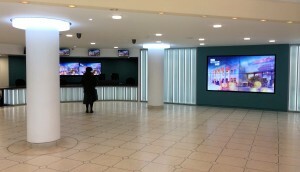 In addition to the main entrance foyer, Phase 1 building work has included the relocation of the confectionary counter on Royal Concert Hall Level 1 foyer, to a set-back position in the wall. The remodelling of this area will greatly improve customers’ access to the stalls auditorium entrance doors, staircases and toilets on Level 1, especially during busy times. Phase 2 of the Royal Transformation Project is scheduled to commence in July 2017. Phase 2 will include the refurbishment of the Royal Concert Hall’s meeting rooms and foyer bars, the enlargement and refurbishment of the Theatre Royal’s ground floor café bar and upper floor roof terraces, improved disabled access facilities backstage, and the creation of a new street-level outdoor dining and performance area under cover of a striking two-storey canopy over the South Sherwood Street entrance to both venues.